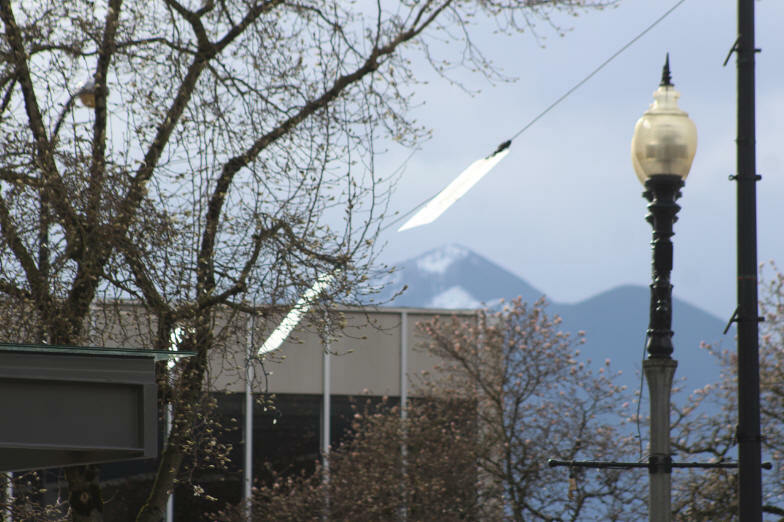 Emergency crews block Chilliwack Central Thursday as a pole burns. Below, Five Corners signs swing in the wind. trong winds gusting as much as 70 km/h pummeled the Lower Mainland and South Coast Thursday taking out power to tens of thousands of BC Hydro customers. The windstorm first tore into Washington, then worked its way north overnight up through the Fraser Valley. One person in Port Moody died when a tree fell on them. There were reports that at one point over 100,000 BC Hydro customers were in the dark throughout the Lower Mainland and up the Sunshine Coast. The wind warning ended in Vancouver in the early afternoon but a steady stream of calls of downed wires and poles burning kept fire local crews busy well after 8 P.M. 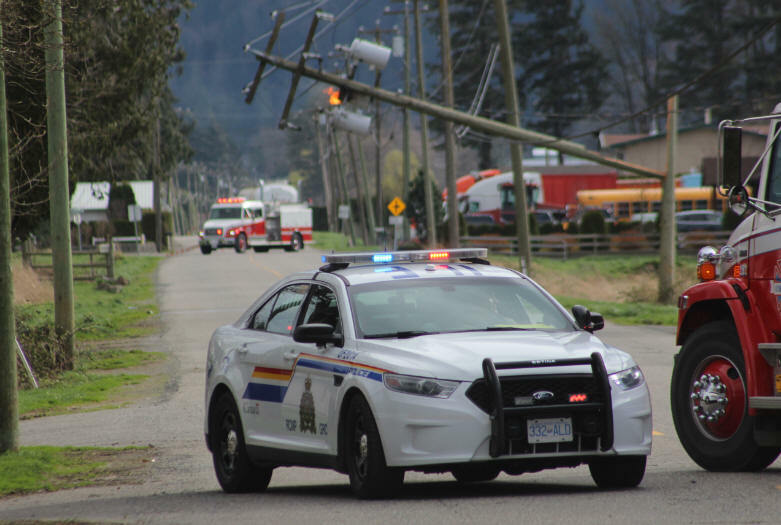 In Chilliwack, fire crews were running from one report of downed wires to the next, barricading several roads including; Ryder Lake, Sleese, Boundary, Chilliwack Central, McGrath, Hope River and Annis. 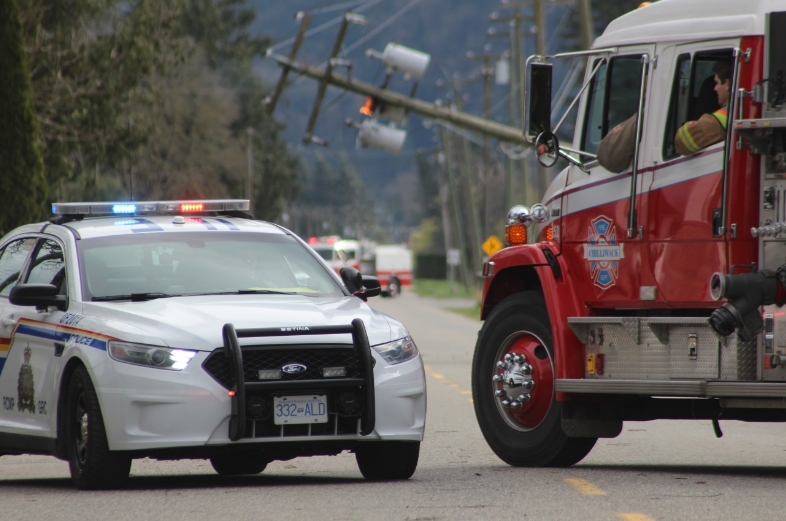 Dealing with downed wires and poles on fire requires a concerted effort from the Chilliwack Fire Department, RCMP, Public Works who cut the trees on the wires down and the Department of Highways and traffic controllers who set up barricades, cones etc. Earlier on Thursday, Delta, Mayor Lois Jackson activated the Emergency Operations Centre after wind pushed the high tide into Boundary Bay and flooded some roads. Surrey also had it's problems, and closed half a dozen schools in its district due to the wild weather.